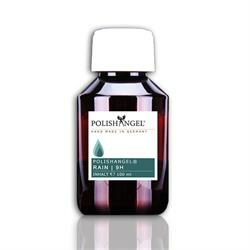 POLISHANGEL® RAIN | 9H is a highly concentrated glass sealant, made ​​from an extremely durable blend of polymers and ceramics it bonds permanently to the glass surface creating a highly durable transparent protective layer. Once applied, the visibility during rain is greatly improved, thus significantly reducing the risk of accidents. Prior to application it is recommended that the glass be polished with CRISTAL to provide a cleaner surface for RAIN | 9H to bond to. Just as easy as pie !